Auditing against the British Retail Consortium’s Global Standard for Food Safety Issue 8 (BRC Issue 8) begins today. The Standard was last updated in July 2015 and since then there have been a number of significant changes. BRC 8 is a detailed document which takes time to digest and interpret. That’s why it’s often simpler to attend a specialist course. Our trainers can take you through the changes between BRC issue 7 and BRC Issue 8 in a single day. We have a BRC Approved Training Partner amongst our training team who has been delivering the official BRC Issue 7 to Issue 8 Conversion Course for Sites course at our training centre near Skipton, North Yorkshire. The course helps companies to prepare for their next audit against the new BRC Standard by discussing the changes section by section. There are group exercises throughout concerning major elements such as Food Safety Culture, Raw Material Risk Assessment, Supplier Approval, Food Defence, Labelling and Environmental Monitoring. Delegates are encouraged to ask questions during the training and will be given guidance as to how the new version of the Standard applies to their production facitlity. The aim is that they leave the course equipped with the knowledge and skills to implement the changes effectively once they return to site. Once the training is complete, delegates have the option to complete a 25 question online examination in their own time. If they attain 60% or higher they will receive an official BRC certificate. If they choose not to take the exam, they will receive a Verner Wheelock certificate of completion. 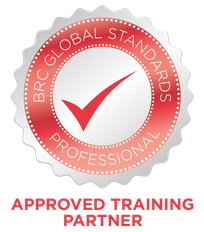 For in-house training, delivered at your own site, we offer our own BRC Issue 7 to 8 Update course, which covers the same content. Click here for more information, or why not view our latest training calendar? Next post: Verner Wheelock Excellence Award Winners Announced!